On October 8-11, 2015, I attended the annual meeting of the Society for the History of Technology (SHOT) in Albuquerque, New Mexico. SHOT is an international scholarly whose 1,500 members are dedicated to “the historical study of technology and its relations with politics, economics, labor, business, the environment, public policy, science, and the arts.” During the conference, I attended various panels to stay abreast of new research in the history of technology, and presented some of my own research on Susan Kare, the designer of the Apple Macintosh’s distinctive icons. I also attended the SHOT awards banquet, which recognizes the research and publications of the top scholars in our discipline. This year, three alumni of our Lemelson Center Fellowship Program earned SHOT awards for work, which drew, in part, upon research conducted at the Smithsonian’s National Museum of American History with the support of our fellowships. First, Dr. W. Bernard Carlson took home SHOT’s Sally Hacker Prize, established in 1999 to honor the best popular book in the history of technology that “reaches beyond the academy toward a broad audience.” Bernie, professor of Science, Technology, and Society and chairman of the Engineering and Society department at the University of Virginia, won the prize for his definitive biography, Tesla: Inventor of the Electrical Age (Princeton University Press, 2013). The book required nearly a decade of research and writing and, during 2005-2006, Bernie spent several weeks in residence as a Lemelson Center fellow. Here at NMAH, Bernie examined Tesla-related artifacts in the electricity collections and studied 19th-century electrical books and Tesla correspondence in the Dibner Library. Bernie also visited the NMAH Archives Center to explore the Kenneth M. Swezey Papers, an eclectic collection of Tesla correspondence, patents, articles, pamphlets, brochures, stamps, newsletters, and manuscripts collected by Swezey, a Tesla devotee and science writer for the New York Sun. This is Bernie’s second Hacker Prize; he won in 2008 for editing the 7-volume Technology in World History (Oxford University Press, 2005). Congratulations Bernie! 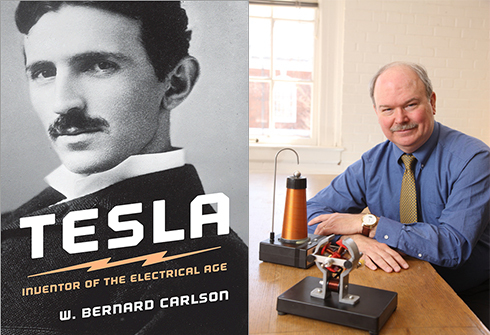 Left: Tesla: Inventor of the Electric Age (Princeton University Press, 2013), winner of SHOT's 2015 Sally Hacker Prize. Right: Author and 2005-2006 Lemelson Center fellow, Bernie Carlson. 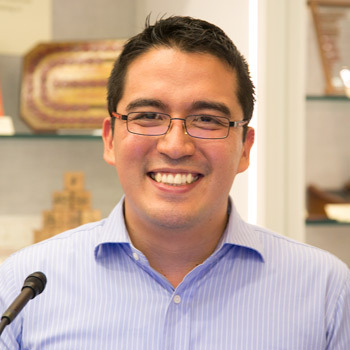 Second, Gerardo Con Diaz won SHOT’s Samuel Eleazar and Rose Tartakow Levinson Prize, established in 1991 to recognize an unpublished essay by an emerging scholar that is intended to be his/her first publication in the history of technology. Con, a Ph.D. candidate in Yale University's Program in the History of Science and Medicine, won the Levinson Prize for his manuscript “The Text in the Machine: American Copyright Law and the Many Natures of Software, 1974-1978.” Con was recently in residence at the Lemelson Center from August 11 through September 18, 2015, and while here he examined the museum’s microchip collections; papers related to the Integrated Circuit Engineering Corporation (ICE); materials associated with video-game inventor Ralph Baer; and some unprocessed materials from Bell Telephone Laboratories, IBM, the Control Data Corporation, Honeywell, and Burroughs. On September 8, 2015, Con made a wonderful presentation of his research at NMAH’s Tuesday colloquium—check out the videocast. Next year, Con’s award-winning essay will be published in the October 2016 issue of SHOT’s journal, Technology & Culture. Congratulations Con! Finally, Matthew Hockenberry took home the Melvin Kranzberg Dissertation Fellowship, a $4,000 unrestricted gift awarded annually since 1997 to aid to a doctoral student preparing a dissertation in the history of technology, broadly defined. 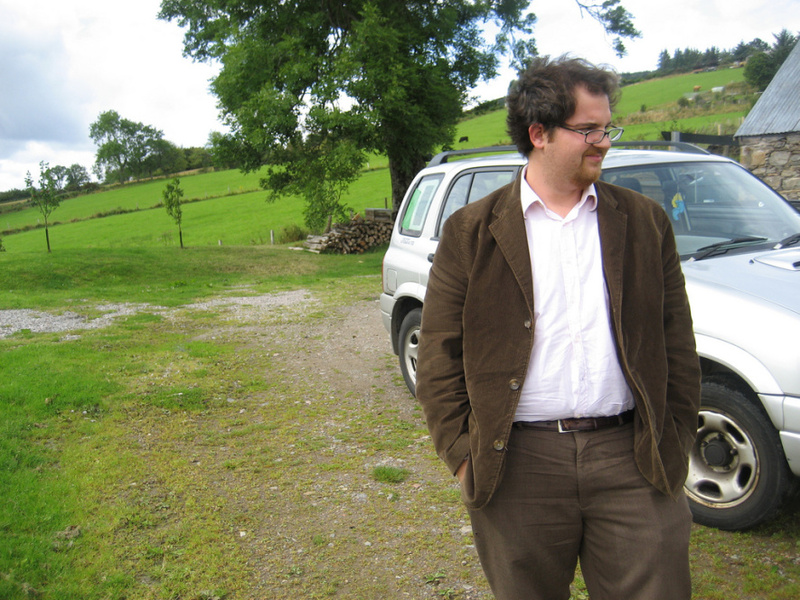 Matthew, a Ph.D. candidate in Media, Culture, and Communication at New York University, won the Kranzberg Fellowship for his dissertation in progress, “Far Corners of the Earth: A Media History of Logistics, 1865-1969.” The dissertation examines the history of supply-chain logistics through the case of the telecommunications industry. Matt argues that telecommunications technologies, including telegraphs and telephones, were both the facilitator and product of a global logistical chain. During his 2012-2013 residence, Matt examined several telecom collections, including the Western Union Telegraph Company Records, the Anglo-American Telegraph Company, Ltd. Records, and the papers of Western Electric Manufacturing Co. co-founder, Elisha Gray. Congratulations Matt! Here at the Lemelson Center, we’re extremely proud of the distinguished record of scholarship presented by Bernie, Con, Matt, and all of our 50+ alumni fellows. Since 1996, the Center has offered paid fellowships to encourage historians, museum professionals, authors, documentary filmmakers, and all manner of researchers to come to the museum, spend time with us, and use our world class invention collections. Our fellows in turn take their findings and pen articles, write books, build exhibits, and produce films on invention, innovation, and technology. The Center is currently accepting applications for our 2016-2017 Fellowship Program and the Travel to Collections Award Program; applications are due December 1, 2015. Please consider applying—we look forward to hosting more award-wining scholars!